Since I've been based in Malia these past few weeks for work, I've had a few chances explore the villages on the way up to, and around the Lasithi plateau. It's really one of my favourite parts of the island, especially with the snowy mountains in the background. 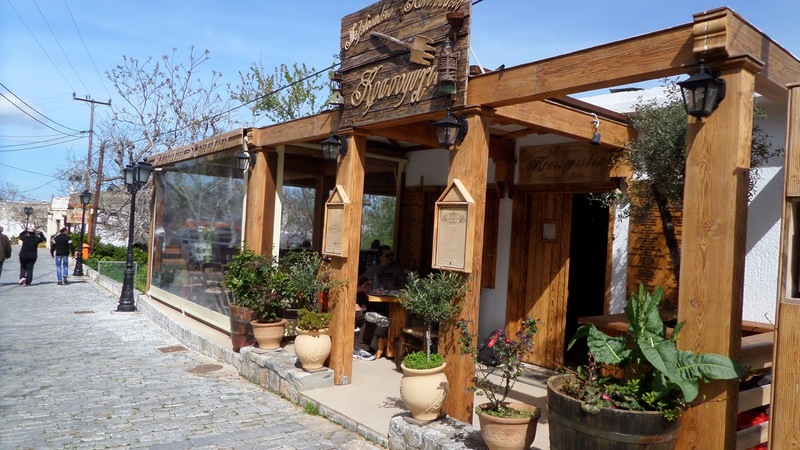 The closest village to Malia - Krasi - is a nice place to hike from, or just to sit around in the cafes and enjoy the views. We did both of these things recently. 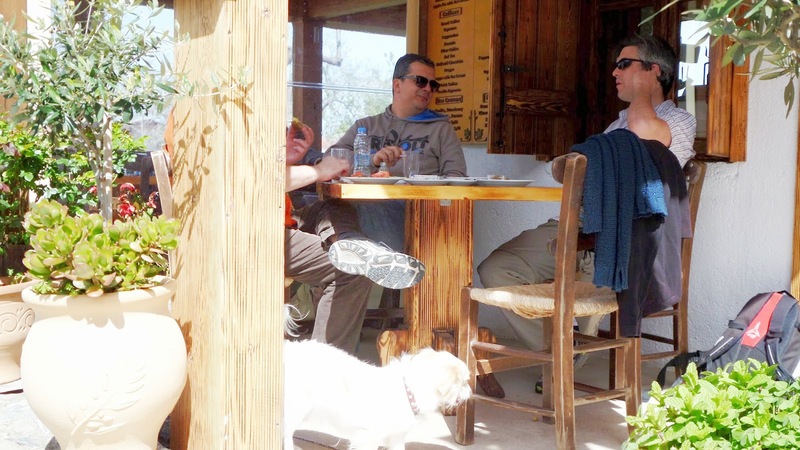 We turned up on a sleepy Sunday morning, with two energetic dogs (off their leads), and took over the front terrace of the Cafe-Taverna Krassopsihia (just down the hill from the spring). Nobody seemed to mind. This was a great place to meet up, in time for a quick coffee before a hike in the mountains. There's not much to the village of Krasi, but it's quite a pretty, peaceful place, especially compared to the craziness of the nearby North coast towns. 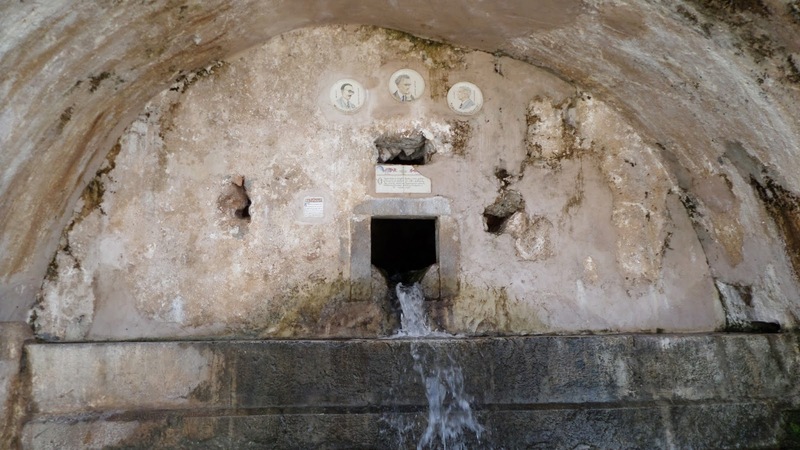 There are several tavernas and cafes, a potable water fountain, and an enormous old plane tree (the oldest in Crete?). 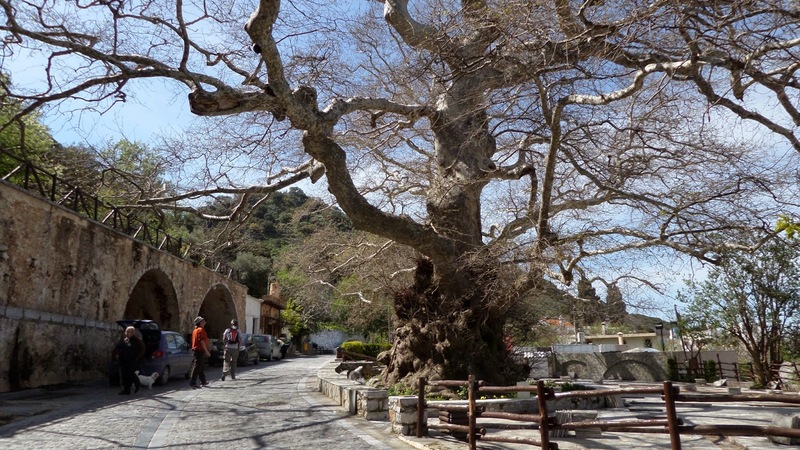 This tree is said to be over 2000 years old. 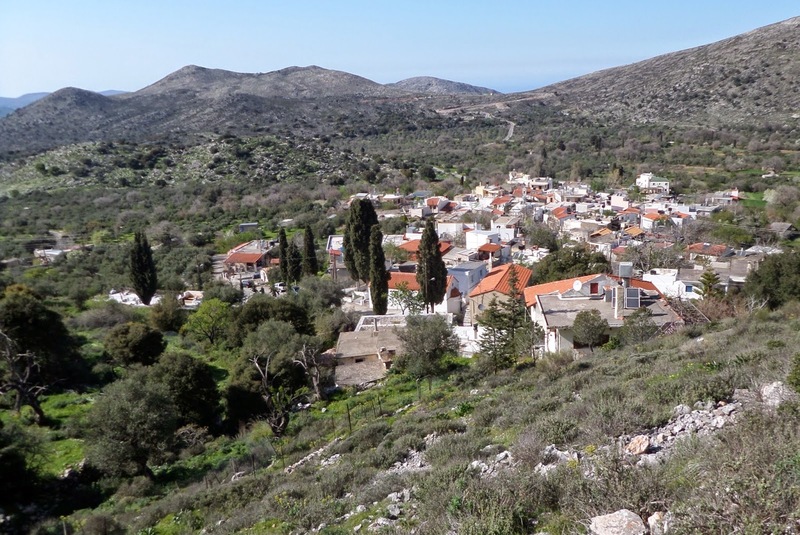 From Krasi you can take several paths up to the mountains behind the village - particularly towards the beautiful Nissimos Plateau (just south of the larger Lasithi Plateau) and the Post-Minoan settlement of Karfi (for more info see Cretanbeaches). 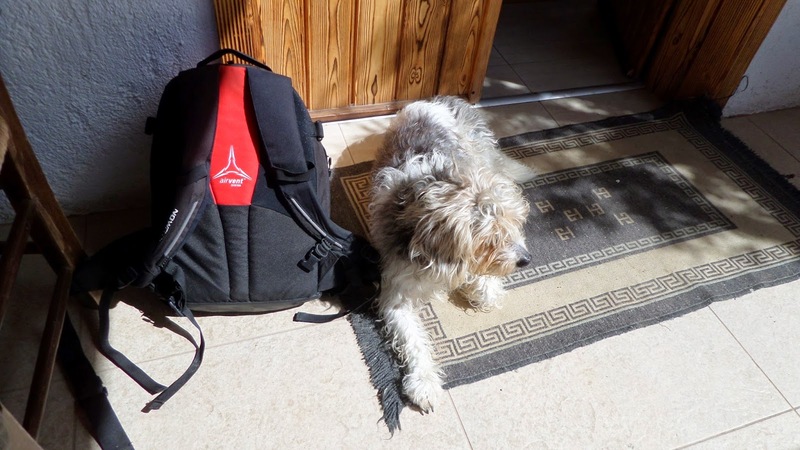 Our two dogs loved exploring up on Nissimos Plateau, and Krasi makes a great start and end point, with its shady spots to rest, running water, and friendly cafes and tavernas.